The teams that will fly Sentinel-5P are training intensively for launch, ensuring that everyone knows their job and can react to any emergency. 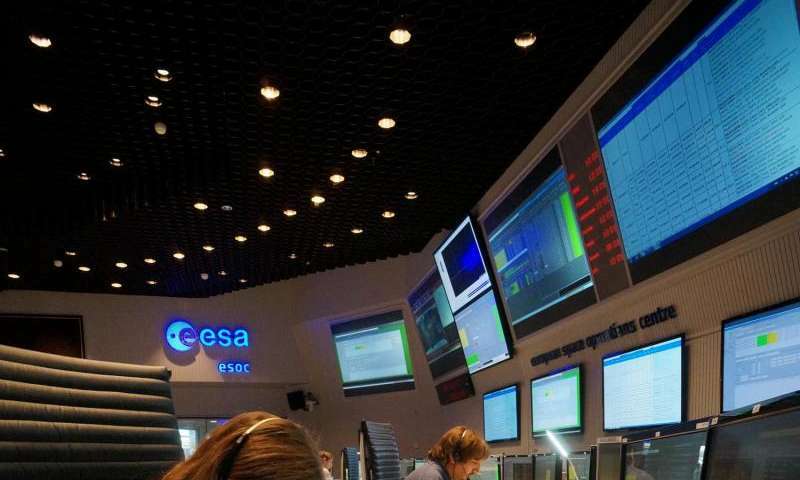 A 'team of teams' at ESA's mission control centre has spent months preparing to assume control of Europe's next Earth observation mission, and the final weeks before launch have been the most intense. 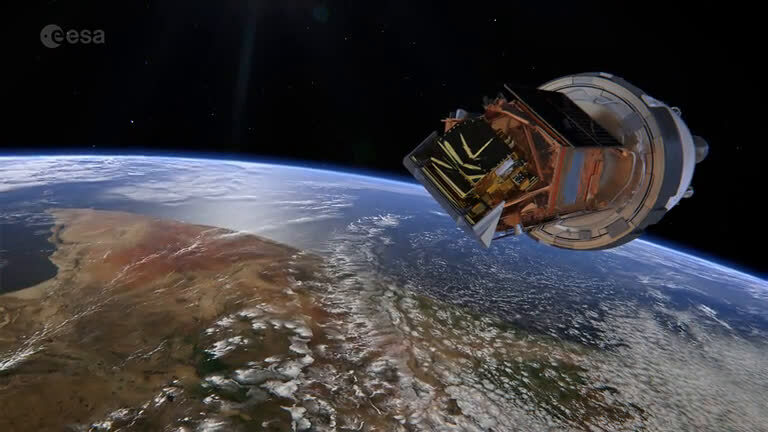 Sentinel-5P – the P refers to 'precursor' – is the first mission for Copernicus dedicated to monitoring our atmosphere. The satellite carries the state-of-the-art Tropomi instrument that will map a multitude of trace gases such as nitrogen dioxide, ozone, formaldehyde, sulphur dioxide, methane, carbon monoxide and aerosols – all of which affect the air we breathe, and therefore our health, and our climate. 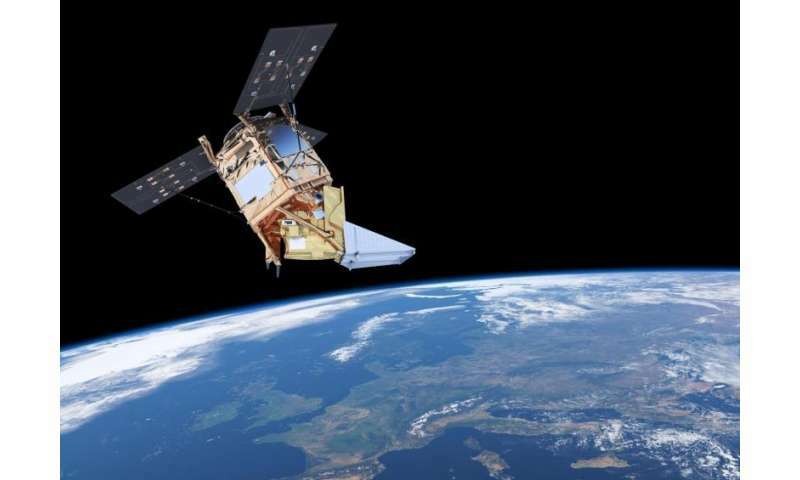 Expansion of the Sentinel fleet in orbit highlights the expertise of teams at ESA and their capability to fly 'constellation' missions, as Sentinel-5P will fly in tight coordination with the US Suomi-NPP mission. The challenging task of flying Sentinel-5P throughout its planned seven-year mission starts just 93 minutes after liftoff on 13 October, set for 09:27 GMT (11:27 CEST), on a Rockot from Russia's Plesetsk Cosmodrome. That's when the satellite, already in space after separating from the rocket some 14.5 minutes earlier, will make its first call home, signalling via a ground station in Sweden to ESA's main control room in Darmstadt, Germany. "It's called 'acquisition of signal', and it's the moment when the years of careful development and preparation for our mission control systems, and the months of training for our mission control teams, will prove their worth," says flight operations director Pier Paolo Emanuelli. That moment is one of the riskiest for the satellite: its rocket must have provided the right boost to put it into the planned orbit, and until its solar panels deploy to start generating power, it must survive on batteries, which will last only for a limited time. "Once we get the signal, and establish a commanding link with the satellite, we'll begin a critical series of activities and procedures to verify the satellite's health, ensure we have solar power and full communications, activate systems like the startracker cameras for navigation and ensure that 5P is fully functional after the incredibly vigorous ride into space." These initial activities continue around the clock for the first three days, after which the team will switch to daytime work, if all goes well, and move on to the next phase of the mission: commissioning the Tropomi sensor. If anything does go wrong, ESA will be well prepared. Since mid-July, the mission control teams – including the operations engineers, flight dynamics specialists, teams from ground stations, the science and project teams and representatives from European industry – have conducted 20 simulations out of the planned 26. Each runs for a full day, and employs sophisticated software to replicate the satellite and ground systems. Trainers can inject faults, errors and breakdowns into the simulation, testing the skill and knowledge of even the most experienced engineers and the teamwork and problem-solving abilities of everyone. "The human factor is the one that determines the success of the mission. There is no single responsibility, and it is great to see our teams working together," says spacecraft operations manager Daniel Mesples. Between now and launch day, the final round of 'sims' will take place twice per week, culminating with a final dress rehearsal on 11 October, which, by tradition, simulates a completely normal launch sequence. This will involve the teams in Darmstadt, ground stations in Sweden, the Antarctic, Canada and Norway, and the ESA and Russian teams at Plesetsk. During the rehearsal, the mission control systems will be connected to Sentinel-5P sitting on top of the rocket via a ground link, which will be removed only a few minutes before liftoff. "We will already have practised an extensive range of contingency situations, and experience shows it's good for team morale to run though a fully normal launch sequence one final time just prior to liftoff," says Daniel. On 12 October, the flight operations director will certify to the launch authorities that the mission control teams are fully trained, that the ground systems and facilities are tested and ready, and that launch can proceed. "In September, the ESA centre celebrated its 50th anniversary in Darmstadt, and its rich history of 77 missions," says Daniel. "It's terrific that this month has seen many of us practising and training to do what it has excelled in for five decades – preparing to go to space."